If my memory serves me (and it often doesn’t at my age) I actually played the Master System before the NES. I remember playing Alex Kidd on the demo system that they had set up at Toys R Us when I was 9 or 10 years old. There was something about the system, about the controller, heck even about the games themselves, in those clamshell boxes with the white grid backgrounds on the box art, that just pulled me in. I ended up getting a Nintendo “control deck” bundle in the fall of 1987 as an early Christmas present, from a father who I suspect gave it to me early because he wanted to play with it at least as much as I did. I loved that system. All of my friends had one, it was the system to own, the talk of the playground, and it hadn’t even reached the peak of its popularity yet. 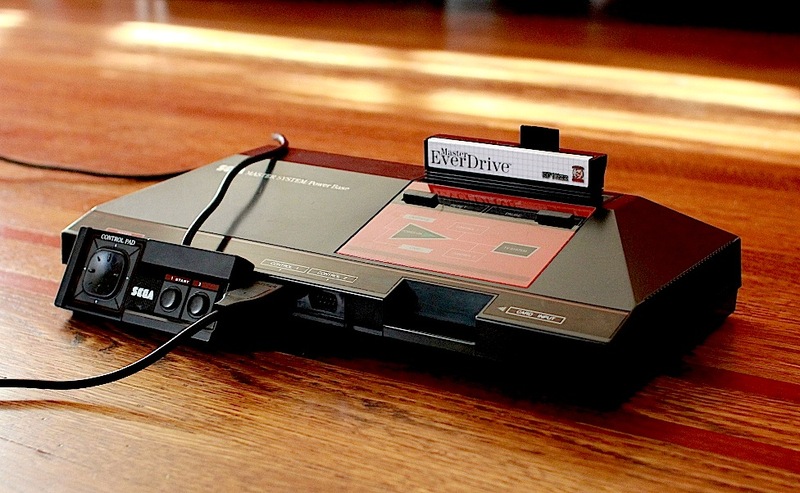 But there was something about that Master System that never let me forget about it. As a funny aside, I went on my first date in the Summer of 1989, when I was 12. In the days that followed, I went over to the girl’s house to hang out. What did she have in her room, hooked up to a little ~13″ TV? It took everything I had to not completely ignore her and get my hands on that sweet Master System right then and there. It only took 28 years since the first time I set eyes on one, but I am now the proud owner of my own Master System. Tagged everdrive, Master System, sega. Bookmark the permalink.